Add your logo and color scheme to various parts of the Scout platform to make it your own. 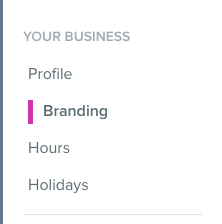 Navigate to business settings by clicking or tapping on the gear symbol in the left sidebar or below. Click on "Branding" in the left navigation. To upload you logo, click the "upload logo button." 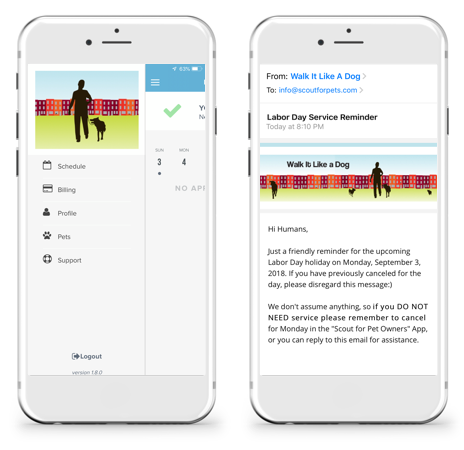 * Note that you can use the same logo for both the email headers and app menus. If you would like to use different images. Select the option to "display a different image in the mobile app." The minimum recommended height for your logo is 250px. If your logo has a height that is smaller than 250px, your logo could appear pixelated or blurry and make a poor impression of your brand. If you need help, don't hesitate to reach out! To improve the quality of your image, upload a larger image and let the software scale it down to the correct size. 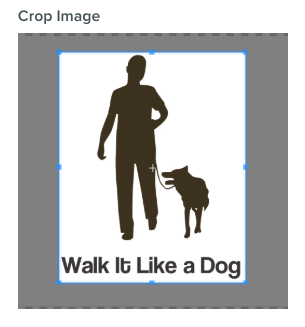 Remove text that describes your services like "Dog Walking and Pet Sitting" from your logo. Customers and staff already know the services you provide. 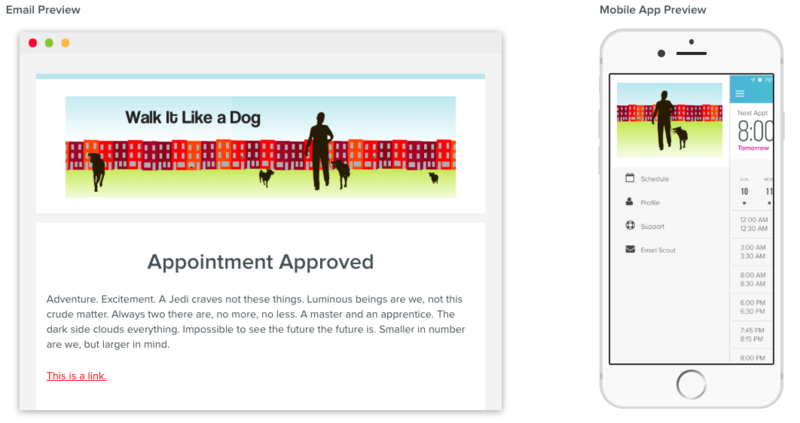 Reducing the amount of text will make for a more pleasant viewing experience. For a centered logo, use the cropping feature to eliminate as much "white space" as possible. Email Header: For a full with email header, use the dimensions 960px wide by 250px high. 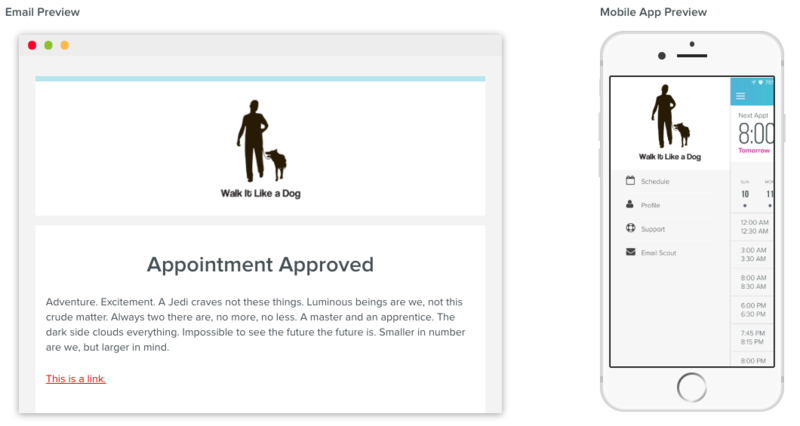 App Menu: For a full width app menu image, use the dimensions 350px wide by 250px high. In addition to uploading your logo you can also choose an accent color for your email header and gratuity page. You can also choose a custom link color.